The Mane Objective: Why You Need Collagen Supplements for Healthy Hair, Skin, and Body! Why You Need Collagen Supplements for Healthy Hair, Skin, and Body! Truth telling time: the second I turned 31, I started low-key freaking out about my skin. Not just about psoriasis and keeping it at bay (read more about that here), but capturing and maintaining a youthful glow, tightening pores, and reducing breakouts. First, I went on a wild goose chase for Vitamin C serums. Them thangs are expensive and come in tiny, tiny bottles. Then, I started hearing whispers on the internet about collagen. So I sank my coins (not really, it wasn't that expensive lol) into a pack of Beauty Bursts from Vitamin Shoppe during their BOGO sale. They tasted great, and I made it through the 30 day supply with ease. Then I forgot to re-up. All hope was not lost - to my pleasant surprise, while going through my e-mail inbox (it's a jungle in there), I discovered an e-mail from Neocell, makers of the Beauty Bursts. After checking out their website, I realized there was a greater reason to collaborate. Between my vanity mission for healthy skin, and my #livelongandprosper mission with #30DaysofDope sat one particular product - Neocell's Collagen Sport Ultimate Recovery Complex protein powder. Before I get into all the amazing ingredients and benefits, let's have a lil science lesson - shall we? 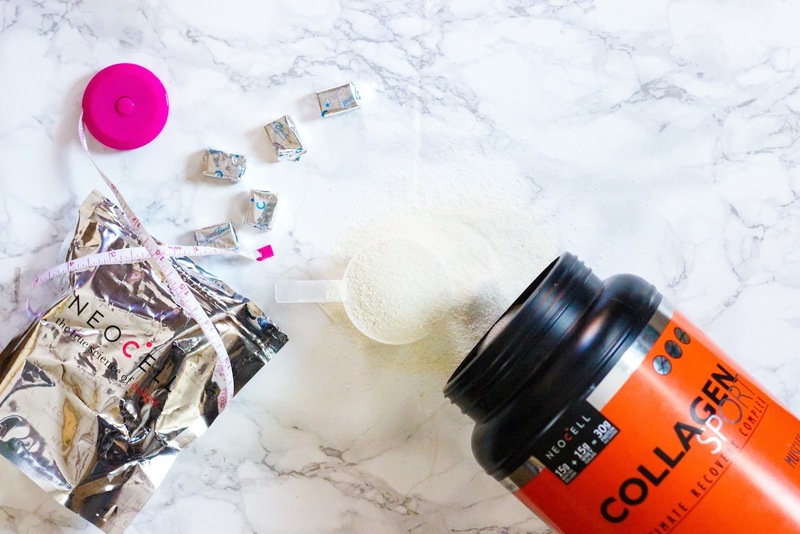 First things first - collagen is a type of protein (more precisely, a long-chain amino acid) that naturally occurs in our bodies. Aside from water, collagen is one of the most plentiful resources available in our bodies - and acts as a building block for skin, tendons, hair, and bones. Collagen is broken down into three different types - collagen 1, 2, and 3. Each type of collagen contains different proteins that serve different functions and for this reason, are paired differently for optimal absorption in the body. Collagen types 1 and 3 are often paired together, as they support skin, muscles, bone health, and hair and nail growth - thanks to the 19 amino acids present and their essential functions. Over 90% of the collagen in the body is contains types 1 and 3. The amino acids present in these collagen types help promote a healthy metabolism (study), stabilize collagen production in the body, and build protein within the body (hey muscles and hair!). Collagen type 2 helps restore the fluids and function in the cartilage and joints of the body. While types 1 and 3 are present throughout the body, collagen type 2 makes up 50-60% of the protein found in the joints. Taking a popular supplement for joints like glucosamine, chondroitin, or hyaluronic acid? 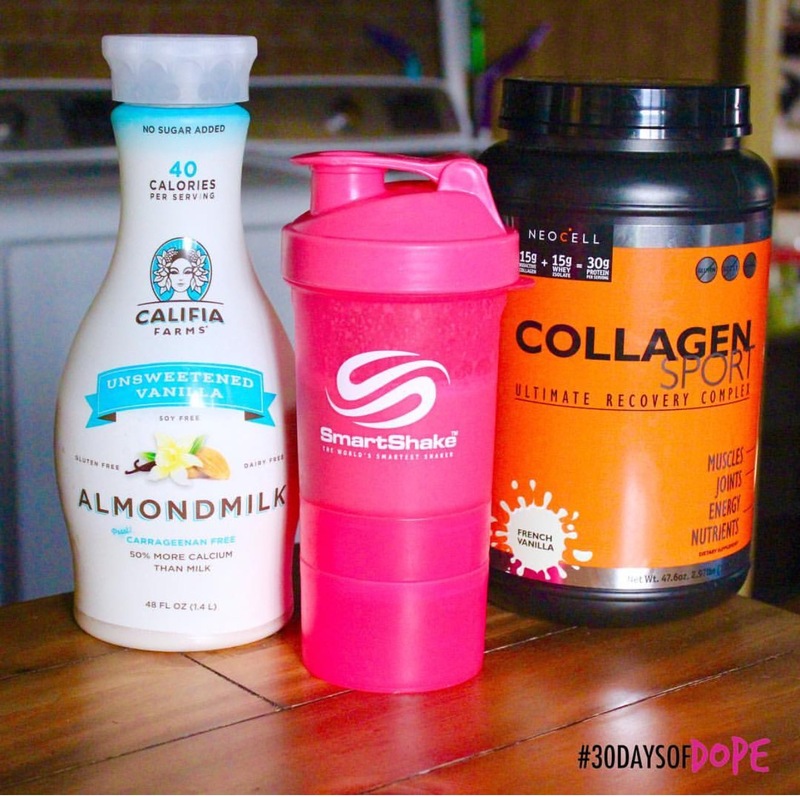 Collagen type 2 has all of the above, and then some! Type 2 collagen is used best when taken in the evening or right before bed. If our bodies produce collagen, why spend the money on collagen-based supplements like the ones offered by Neocell? The answer is simple - age. As we get older, our ability to produce collagen diminishes. That's why with age, our hair thins and becomes more brittle, wrinkles begin forming, skin thins and sags (yikes! ), our metabolism slows, and the joints start creaking. Add in stress, poor diet, and hormonal imbalances - and we've got a real situation on our hands. So to sum things up, for that #foreveryoung skin and poppin' curls, supplement with types 1 and 3 collagen. To stay sprig, spry, and mobile, supplement with type 2 collagen. Ok so...where exactly can I get this collagen stuff? It just so happens (as mentioned in my intro), that I was already on the right track with Neocell Beauty Bursts. Beauty Bursts are actually a great source of collagen types 1 and 3. Click here to find where to purchase Beauty Bursts at a retailer near you. For type 2 collagen, Neocell makes a pretty dope chew called Joint Bursts, that not only have type 2 collagen for joint support, but contain turmeric to help fight inflammation as well. I tried them for 30 days, and they served my joints well - helping me squat and lift without joint drama. Plus, they're pretty tasty (they give me sweet tropical vibes). Click here to find out where to grab Joint Burst chews near you! But the real hero for me? Neocell's Collagen Sport Ultimate Recovery Complex. It's a protein powder with amazing nutritionals and amazing benefits. If you've been following my healthy living journey via #30DaysofDope and 30daysofdope.com, then you're no stranger to Neocell's Collagen Sport. I took it regularly during the July #30DaysofDope cycle, and loved it. It gave me energy and strength - and I made some serious strength gains! And if you read this post, then you know in preparation for the September 2016 Cycle, I've gotten even more laser-focused on my goals - to the point of getting a head start on following a dedicated nutrition plan and meal prep. As a part of a specialty drink (recommended). I either add it to a fruit smoothie with blueberries and acai, or use it to create a protein-infused caramel iced coffee (click here for the recipe). When taking Neocell Collagen Sport, a couple of things happen. One, I have amazing energy - without the jitters. It's a great morning or smoothie shake base, for this reason. It also keeps me full - thanks to the high amount of protein. As I mentioned a few paragraphs up, this stuff is no joke if you're looking to lose weight or build strength. In my case, I'm looking for both. Not only have I already hit my 2016 goal of squatting 200 (I'm at 205, and it's only August), I'm making strength strides in other areas - even running HIIT sprints and the stairmaster. Oh and perhaps the biggest bomb of all - while incorporating Neocell Collagen Sport into my meal plan, I've dropped 7 pounds and 1.5 inches on my waist in a week (7 days). I expect the weight loss to slow and stabilize to something less drastic in the coming weeks, but just know those stats alone gave me tons of motivation to forge ahead. Let me know in the comments if you want a separate post on exactly what I did for those 7 days (hint: I didn't starve). Really, there's only two drawbacks that aren't really drawbacks when I think about it. First, the taste takes some getting used two - at least 2 to 3 shakes in. Not that it's nasty (y'all should already know I don't do nasty), but it's not super sweet. And coming from someone who was virtually addicted to sugar, transitioning to something that's only a fraction of the sweetness that you're used to can be difficult. The second is that it can be somewhat tricky to locate Neocell Collagen Sport on the ground. They're only available in select Lassen and Whole Foods stores - but you can order via customer service - (800) 346-2922. Neocell's Collagen Sport protein powder is an essential part of my meal plan and fitness goals for the September 2016 cycle of #30DaysofDope, and for the rest of 2016 to be honest. It's a super unique product with benefits that far surpass the other protein powders I've tried on the market. I highly recommend it - so far I've tried the French Vanilla flavor, but Belgian Chocolate is up next. Stay tuned to see what I make with those! Got questions about supplementing with Neocell or protein in general? Drop em below! Now I know the importance collagen for our hair, skin and body. Now I know! Oh snap it is?! How did I miss the beloved Sprouts?! Thank you!!!! I'm gonna update this post now! You share very good and useful supplements which is so good for our health and body. Having foods that contains omega - 3 is one of the best ways of keeping our body healthy and strong. Thanks for your informative article. I have not begun to exercise. Need to lose wt. Need protein. I don't eat meat. Will this help? Can you do a post on what you ate for those 7 days you lost the weight using this? Collagen supplements are important for the skin as this helps in maintaining the elasticity of the skin. Also, the collagen element is found in many skin creams such as lifecell anti-aging creams. These are available in the form of creams. Have you ever heard of Apple Cider Vinegar? If not, check out this infographic that has all the benefits of Apple Cider. Try to make it a part of your day!